When she got an invitation from Damian Woetzel to take part in the Vail Dance Festival in the late summer, she went with an open mind, ready to try anything. 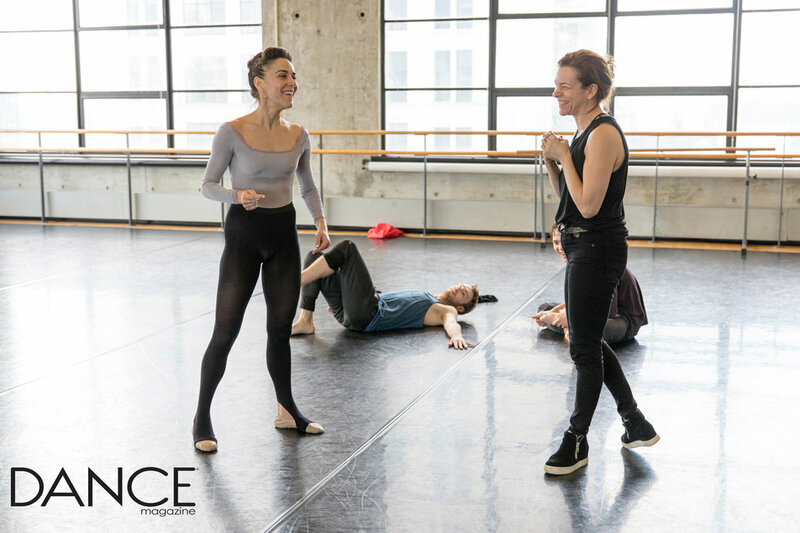 And sure enough, she got to dance an excerpt of Peck's Year of the Rabbit and took part in the creation of a new work by the New York City Ballet–based dancer and choreographer Lauren Lovette. More importantly, though, she made a connection with someone outside the world of ballet. During a car ride from the airport with Pam Tanowitz, the modern-dance choreographer turned to Delgado and asked, "Why haven't we worked together?" To which Delgado said, "Let's play!" The piece they created there was called Solo for Patti, and it used pointework, a technique Tanowitz is interested in but with which she has limited experience. "We were discovering how to work together," Tanowitz explains, "with no expectations." Delgado, too, was stretched by the experience. "She pushed me away from ballet," says Delgado. "She asked me not to do too much with my face, and to be more physical." Earlier this year, Tanowitz and Delgado collaborated again, on a trio created for DEMO: Now, part of a series Woetzel curates at the Kennedy Center. 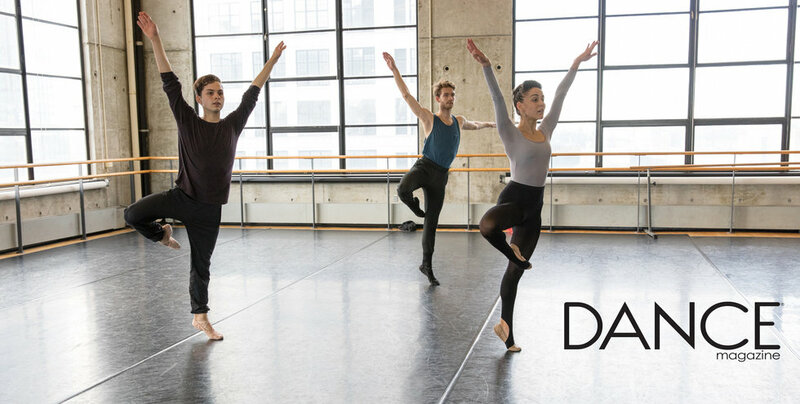 Blueprint is danced off-pointe and composed in a vocabulary reminiscent of the clean, spare virtuosity of Merce Cunningham. The movement sequences were created in silence, a new experience for Delgado. Working this way, she says, helped her focus on the internal logic and timing of the steps. "There's something peaceful about that," she explains. 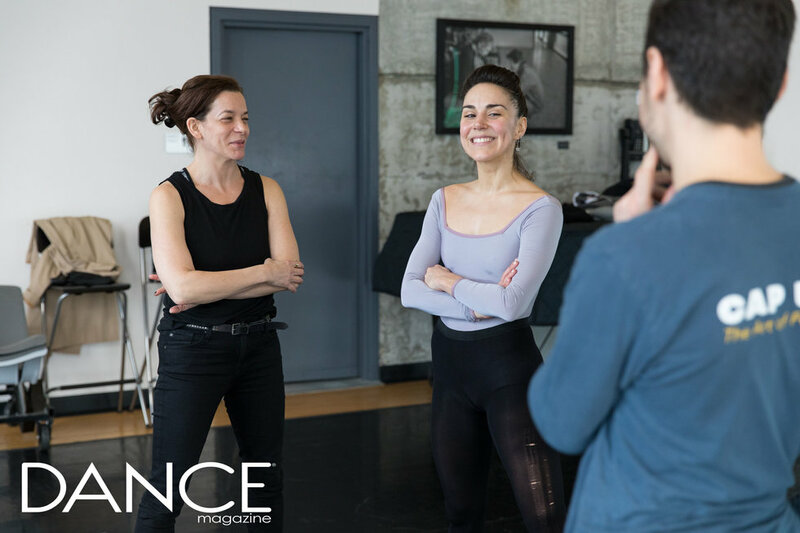 In a Blueprint rehearsal with two male partners, Delgado was like a student, soaking it all in. She watched carefully, analyzed, asked questions and assimilated. At one point in the trio, she partners one of the men in a sequence in which she supports him as he does an arabesque penché. She couldn't quite find the right position. Tanowitz's assistant gave her a suggestion: "Use your trunk." Her eyes lit up: "Oh, like the Cubans always say! Use your hips!" Problem solved. To understand the movement quality Tanowitz was looking for, Delgado started taking Cunningham technique classes. Which led her to think about aspects of ballet that she had never considered. "It's beautiful and we have a lot of rules, but it's so weird sometimes. In some cases, if you do something slightly differently, you can go so much further." Dancing on a less intensive schedule has also allowed her body to heal. Like many dancers, Delgado's last years at MCB were plagued by injuries. Eventually, the cycle of injury and recovery began to erode her sense of purpose: "I was fighting my body," she says. "There has to be more to life than coming back to perform, only to get injured again." Now, if something hurts, she takes it easy. She does yoga at home in the mornings. She swims several times a week and takes Gyrotonic classes. She takes ballet classes at Steps on Broadway with Wilhelm Burmann or Nancy Bielski, or at New York City Center, with Zvi Gotheiner. The fear of reinjuring herself, so paralyzing before, has started to fade. Over the holidays, she put in a few guest performances of The Nutcracker, and she doesn't discount taking on more ballet gigs in the future. Just before that, she appeared in a revival of the Lerner and Loewe musical Brigadoon, directed by Christopher Wheeldon. It was a revelation. "I was definitely bitten by the Broadway bug," she says. "Acting has always been my favorite thing about dancing." Also last fall, she got to flex her acting chops in a music video for the band The National, directed by Peck. To the song "Dark Side of the Gym," the couple danced a quietly romantic pas de deux, their first time performing together. "It was so real to get to dance with him; he wasn't the director or the choreographer when we were dancing," she says. "He really came to me." Earlier this year, she started to stage ballets, setting Peck's In Creases on Boston Ballet, and she and her sister Jeanette collaborated on a staging of his Heatscape at Dresden Semperoper Ballet. She relishes the process, analyzing the steps and learning all the parts so that she can show them in the studio. "I love this art so much," she says. "I always wanted to give back. And I like to see people dance well." More than anything, what this year has taught her is self-reliance. In Miami, she was surrounded by her colleagues; their presence encouraged and stimulated her. Now she often finds herself on her own, working to stay in shape, rehearsing, making plans for the future. She admits it can be daunting at times. "But," she reflects, "it's refreshing to find my own way."